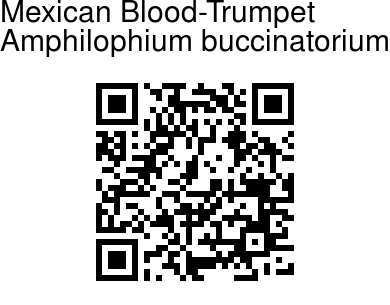 Mexican Blood-Trumpet is a climber that reach heights of 10-25 m. The paripinnate leaves are opposite. The ovate-lanceolate leaflets are entire and stalked. 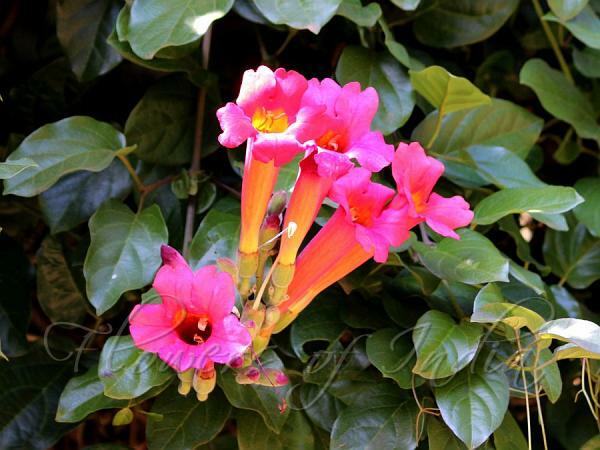 The vines produces racemes of salmon-red trumpet-shaped flowers from July to August. The climbers produce septicidal capsules.